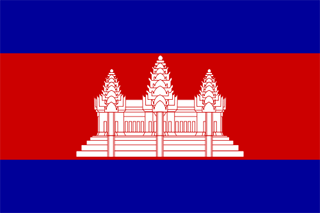 The Cambodia flag was officially adopted on June 29, 1993. 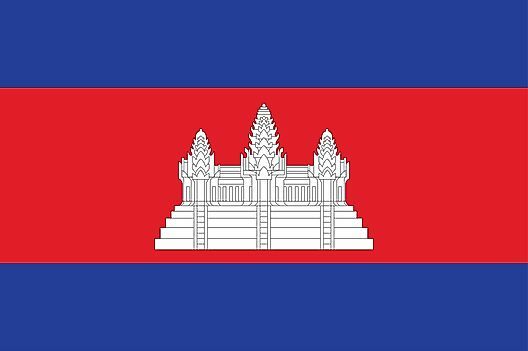 Red and blue are the traditional colors of the country, and the famed Angkor Wat temple is featured in white. 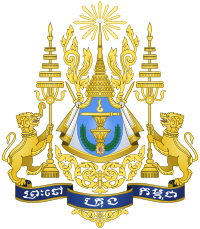 Cambodia's coat of arms is composed of two lions, one with an elephant trunk and the other a rajasingha (royal lion). The two lions hold onto royal five-tiered umbrellas symbolizing the King and Queen, and stand on top of a blue ribbon displaying the phrase 'Preah Chao Krung Kampuchea' (King of the Kingdom of Cambodia). 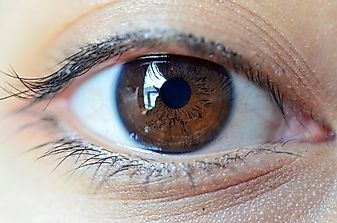 A royal crown is situated between the lions, with an Unalome sign beneath it, and a ray of light on top.